Portland/Metro - Although the Pacific Northwest Sportsmen's Show will take front and center this week, steelhead fishing on the metro rivers is heating up. It's peak season time for the Sandy and Clackamas Rivers, and it will only get better as we get later into February. Sandy River anglers seem to still be faring the best, with good fishing reported from Cedar Creek to Oxbow Park. Some fish are being recycled, but sea lion predation remains a factor on this river. River levels are expected to continue to drop, making for an ideal weekend for prime time steelheading. Anglers should drop down the size of their offerings as waters drop and clear and hardware should become more effective as fish slow their migration when flows recede. Clackamas River steelheaders should be coming into their prime for the next 3 weeks. As predicted, Eagle Creek fish never showed as all of the systems "eggs" went into mainstem steelhead production. Anglers should see the fruits of that strategy well into March. As flows drop, migration will slow, making the lower reaches the more productive option well into next week. Meldrum Bar plunkers should also start to see a resurgence in action. Flows remain high, but the Willamette is clearing and there may even be some spring Chinook effort at Sellwood by the weekend. Sturgeon fishing will remain good in the Portland Harbor, especially with warm temperatures in the forecast. With warmer weather comes thoughts of spring Chinook. Reliable action is still 6 weeks away but anglers will likely show up in force at this week's Pacific Northwest Sportsmen's Show. Meet up with me in the KastKing booth (booth 277) to learn what our strategy was for a productive day on the Wilson River on Monday, and put in for the drawing for a free rod. Thirty rods will be given away over the course of the show. 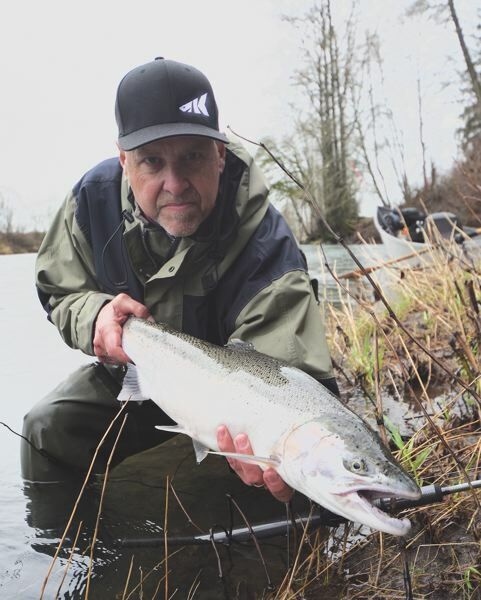 The Tillamook Report - It's full-on steelhead season for Tillamook County anglers. Following a good week of steelheading last week, action on the Wilson, Trask and Nestucca has also been productive this week. There are a mix of fresh broodstock steelhead and some spent early season fish on the Wilson, with the lower reaches producing the best catches in the dropping flows. 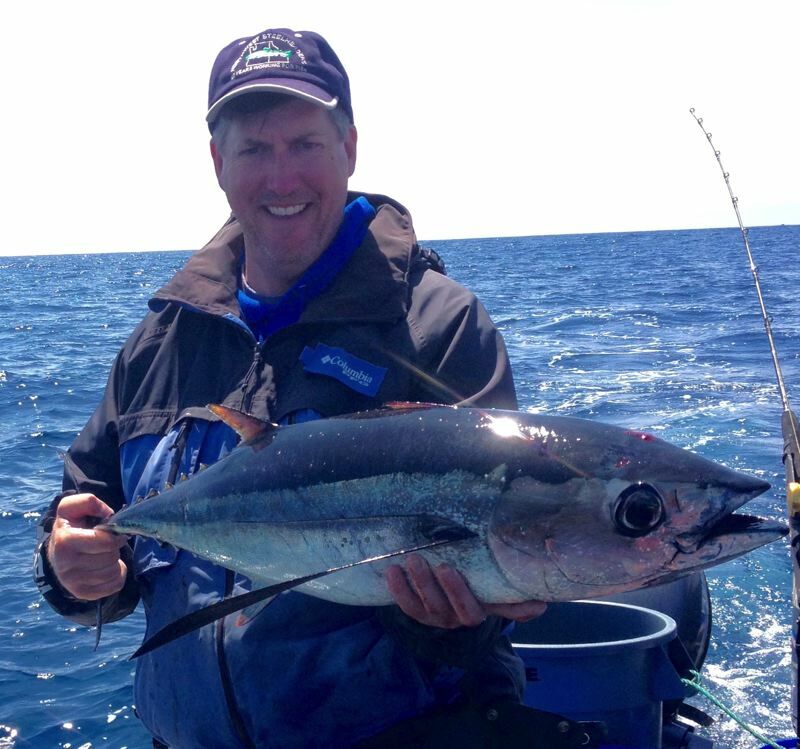 Bobber-doggers were flogging the water hard with fairly consistent results early in the week. As flows drop and clear into the weekend, anglers will have to get more innovative to inspire fish that have been worked over fairly hard all week. The Trask has also recently produced some quality wild fish exceeding 15 pounds. Effort is lighter here, but fish are bigger, and there are a few stray hatchery fish here too. The upper reaches are a bank angler's dream with good public access for much of the upper watershed. The Nestucca system is just getting underway with catches improving this week. It should be a productive month on this system for quality broodstock steelhead. A calming ocean produces good bottomfishing catches this week, but crabbing has certainly suffered since the commercial fleet went in. It should still be worth the effort if you have fresh bait to entice the crustaceans.